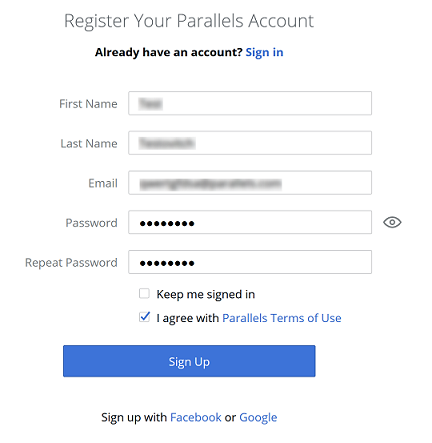 You can register a Parallels account either on the Parallels website, or using one of Parallels applications. You need to register a business product license to create a business account. Sign in to your Parallels account. Open the Register Key page and enter your product license, click Register. Fill out the registration form (all fields are mandatory) and click Register.